On inspiration, freemium apps, the future, and productive breakfasts. 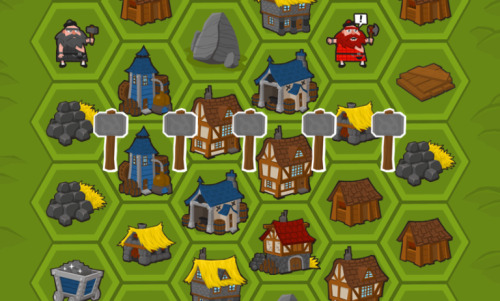 Yesterday we reviewed BraveSmart, flaregames' brainbending, village-building match-three strategy puzzler. Not just a good game, it's also notable for a delicate use of in-app purchases that contrasts sharply with the rise in the more aggressive monetization of mobile titles. 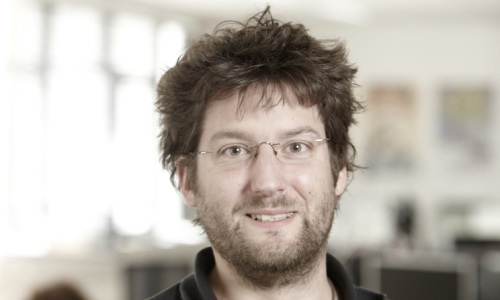 Earlier today we interviewed Andreas Suika, creative director at flaregames and veteran developer of The Settlers series, about the game's inspirations, his philosophy behind monetizing mobile games and where BraveSmart's headed next. There's a very unobtrusive in-app purchase system in BraveSmart which is very welcome for gamers. Has this proved to be a profitable move for the company? Can you share any figures about the percentage of players who do use the store? We're embracing the fairness of the freemium model as it gives you the opportunity to get into the game without spending money on something you may or may not like. We're gamers like you are and really don't believe in "pay 2 play" - we want as many people as possible to be happy about our games. An aggressive monetization system would reduce engagement and have very few people spending (perhaps) large amount of money. We'd rather have many players, give them something they like and ask for a little money in return afterwards. We can't share numbers this early but it seems to work out: both our first games, BraveSmart as well as Ocean Tower are being downloaded in the hundreds of thousands, and are getting lots of five star ratings. And while we're not getting rich, we make enough money to support further development. Your in-app purchase approach seems like it was born from displeasure with some of the more aggressive systems on the marketplace. Is that correct? Can you give us any thoughts about balancing the need to make profit with a gentler business model? As I said, games have to be fun first. I personally have many times, for example in World of Tanks, bought virtual items gladly. Because I really liked the game and wanted to give something back to the guys who made it. In-app purchases should feel like that, not like a guilty pleasure. We felt during gameplay that this was a much fairer and refined version of Triple Town. Is that a fair description and were you influenced by that game? The game has a number of influences, chief among them is, yes, Triple Town. I've been reading Daniel Cook's [Triple Town, Realm of the Mad God] website for a long time now and love his work. Another one is Dungeon Raid, especially because of the very good control scheme and nice sound design. And my own "The Settlers" as I love the concept of building a town and like to drive it to any number of abstractions. How did the "wandering Scotsmen" mechanic come to fruition? Were there any other systems you considered during development? Yes. Many. The final inspiration came from the geologist, a little character we used in The Settlers. You had to send him out to gather resources. We started out with that idea and a normal grid. Didn't work, led to deadlocks. Then we had to move him diagonally, but that confused the hell out of players. Then we began using the hexagonal grid and everything got better. 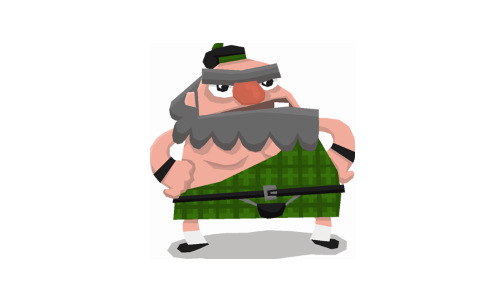 The whole Scotland theme came from a breakfast I had with one of our senior artists. We talked about building villages in idyllic landscapes. He suggested Scotland, I thought of sheep. So from one productive breakfast we gained a theme and even an extra gameplay mechanism: the moving sheep. What can we expect from the next update to the game? Will the game be updated to included a "free-scoring" mode where gamers can play endlessly for high scores? We have just released a small update: some bug fixes and a slightly reduced difficulty level on some maps. We'll be adding more levels soon. And a leaderboard? As I'm tired of being texted by friends who want to tell me their highscores, the leaderboard will likely be changed weekly instead of being persistent. This is to discourage cheating.